Agencia de Au pairs y Trabajo en el extranjero. What does it mean to be an Au pair? What does it mean to be a nannie? In our agency we are educators with a valuable experience in teaching languages and for that reason we know the needs of any family. Nowadays, it is common that both parents work and because of their timetables they have problems to pick the children up from school, share their children’s free time or have their children home for lunch. We believe that during this time learning a foreign language would be an ideal solution meanwhile the children play or have dinner. For that reason our goal would be to offer you an intelligent solution that matches two services in one- the care of your children and the learning of a foreign language by means of games and interactive routines. To face your children’s future, as you surely already know, the proficiency of languages in today’s society has become a main objective. However your children have a very limited time after a tight school timetable and extra lessons. Time is for them a continuation of school tasks that sometimes make them tired. Wouldn’t it be better to have that time to practice a sport – which is necessary for their growth – that complements the little time dedicated for this at schools? We offer you the possibility for your children to share their time with a responsible, young person that can act as an “older brother or sister” to help them when they need it, play with them, prepare the bath , dinner, pick them up from school, help with homework and do babysitter duties once or twice a week. A person with his/her own language (Spanish, German, Italian…), whose language your child will learn better and more efficiently than at school, for the simple fact that your child will be the only one when in the class he has to share the teacher with other students. 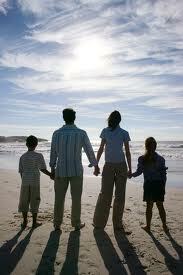 We will be responsible for finding this right person for your family needs. Furthermore we will make an individual choice and we will follow her/his work during the first month so that her/his adaptation and the fulfilment of her duties will be successful. Having somebody from a different country at home will be an improvement for your children social skills and will be fun for the whole family if you participate in their experiences and culture. With having an Au pair at home we are also teaching our children a very important aspect of their education: to establish contacts with people from different cultures, in this way they will be open minded and get used to a multicultural environment, a very important factor for their personal and professional future. Put your trust in us, we will encourage your children and ensure they have a bright future. ¿Más información? / More info? (only E.U., U.S.A. and AUS).